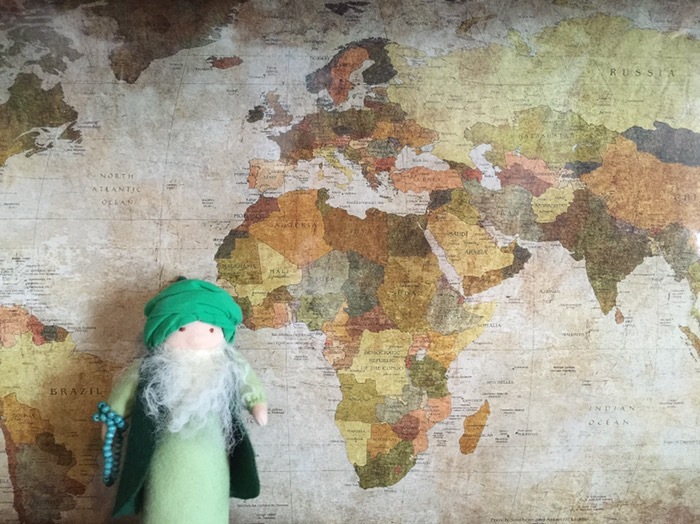 Today our little dervish is telling us about the Muslim explorer Ibn Battuta. He was born in Morocco and is one of the greatest travelers of the age of exploration. This Dervish Doll was comissioned by Sirajunmunira from WaldorfMagicGlade on Etsy.